Cutting down the rifles would require a large amount of work to the gas system, and typically produces a less reliable and less accurate firearm. In order to produce this rifle, with a ~12" barrel, the original 20" M16A4 barrel would have to be cut down dramatically, gas tube shortened, gas port moved, and front sight block moved. This kind of modification is not ideal, and would only be carried out by forces in the field with no alternative. 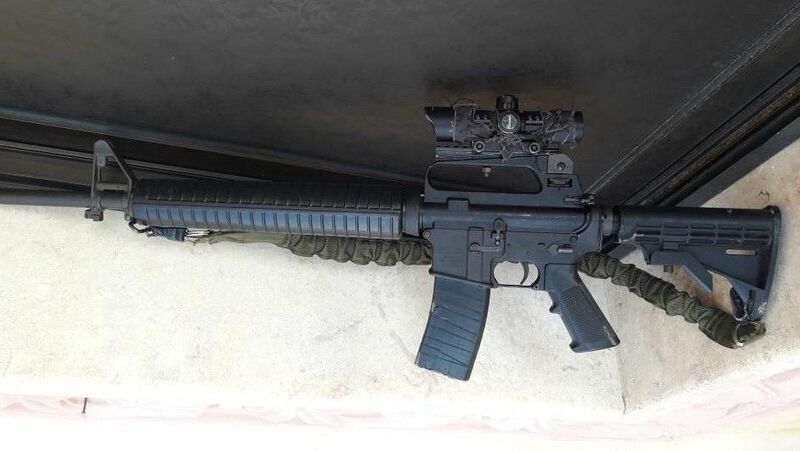 The user of the rifle also claims that the rifle suffers from keyholing issues (Unwanted instability and tumbling of bullets in flight), and a velocity drop, which is entirely possible given the nature of the modification to the M16. However, there are legitimate reasons to do so: in this case, the lower rifle’s muzzle had been damaged in an explosion, so it had to be modified to make a working rifle out of what would otherwise be useless. The lower rifle is clearly set up for raids or assassinations, carrying a Pulsar Apex XD75 (3-6x magnification) thermal optic and a suppressor. 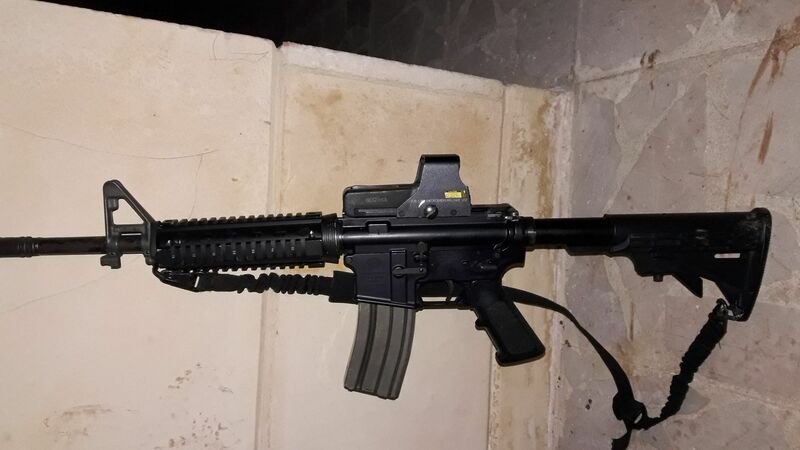 This is ideal for night or low light operations, and is popular in non-state hands all over Syria, from Islamist groups in Idlib to the SDF fighting the remains of the the Islamic State. Whilst the XD75 is an older COTS optic, it is still ideal for guerilla use. Technology and accessories of a type that a decade ago would typically only be in the the hands of state forces- usually Special Operations- are now in active use by irregular forces, including TİKKO. The use of thermal optics and suppressors is an excellent example of this. 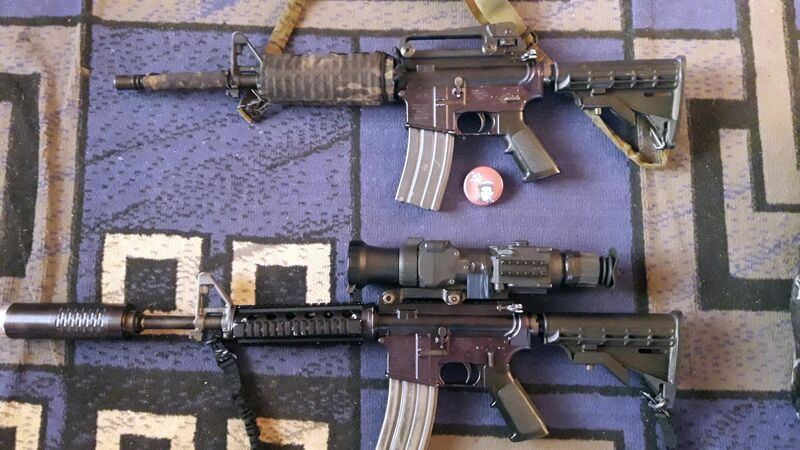 Both the M16A4 and M16A2 have seen wide use in the Middle East, from huge quantities supplied to the Iraqi Armed Forces by the United States, as well as supply to Syrian rebels, Kurdish forces, and others. It is hence difficult to determine the exact origins of these rifles. 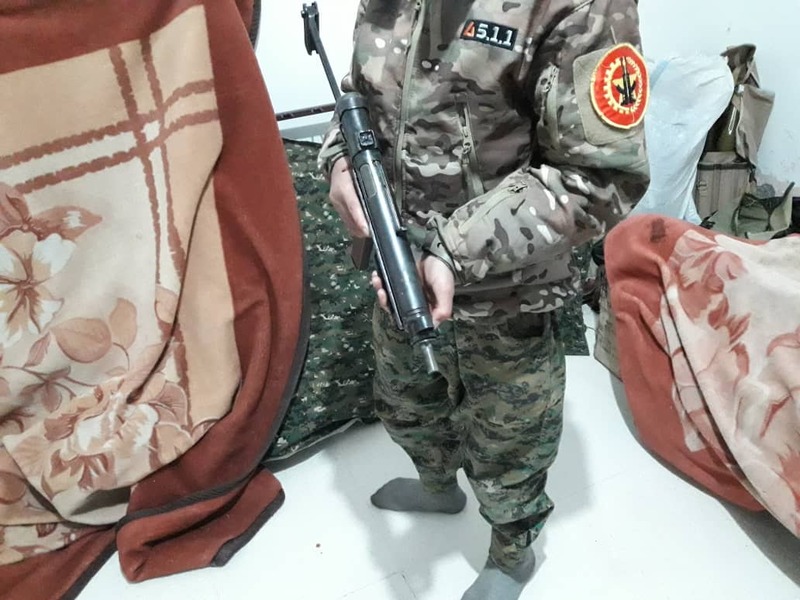 This rifle is very interesting considering the wider picture of HRE/YPG small arms in the Afrin area- a set of two identical rifles was captured from YPG-aligned forces by the TFSA's Sham Legion in August 2018. 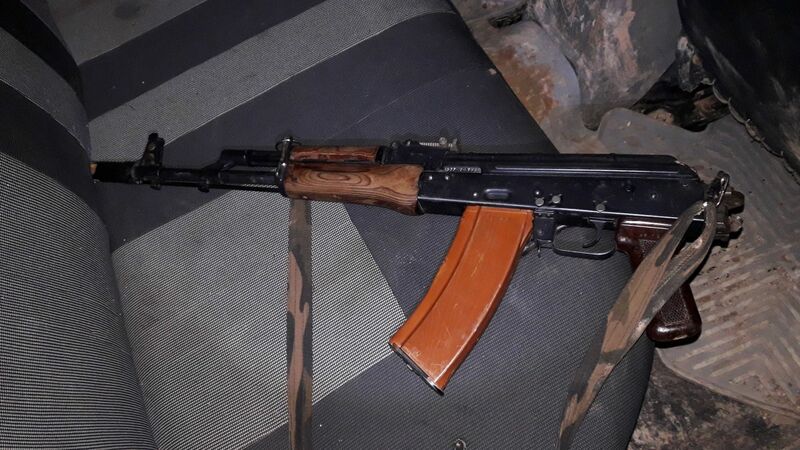 Given the usual tendency of weapons given to forces allied to Bashar al-Assad to begin circulating in larger black markets, as well as other supplies into the region (Hezbollah, in particular, also uses the carbine), it’s no wonder this submachine gun sized weapon has appeared in the hands of TİKKO fighters. It's light, fires an assault rifle sized cartridge, and is very easily concealable. It's ideal for close range combat where large volumes of fire are needed at short notice. 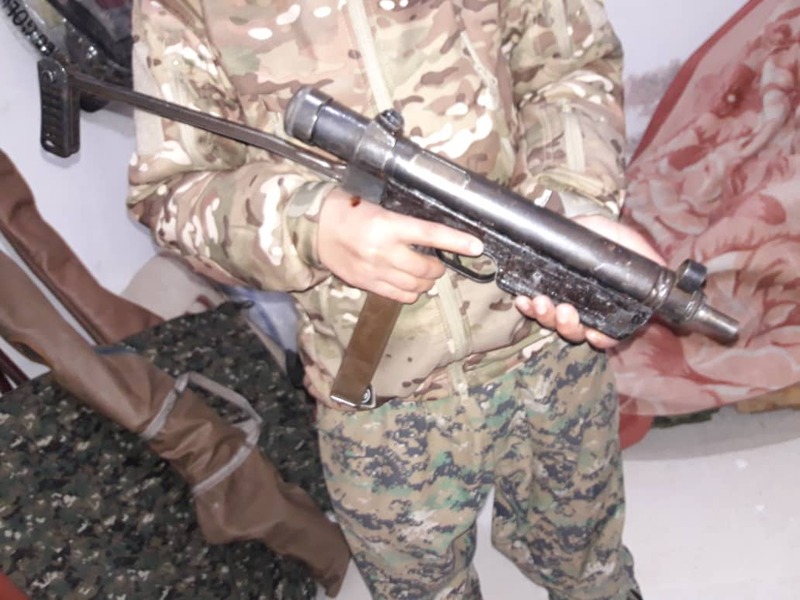 Given the likely regime sourcing of the 9K111 ATGMs used in Afrin in high numbers, it's entirely possible that this AKS-74U (Serial: 9662) was supplied via similar channels. Note patch on the fighter's (Likely fake) 5.11 Jacket. The Marxist fighters also have sidearms, either for last ditch defence or for very close range use. A number of videos have emerged of Wrath of Olives and other factions' using suppressed handguns, although none of the handguns below are suppressed. 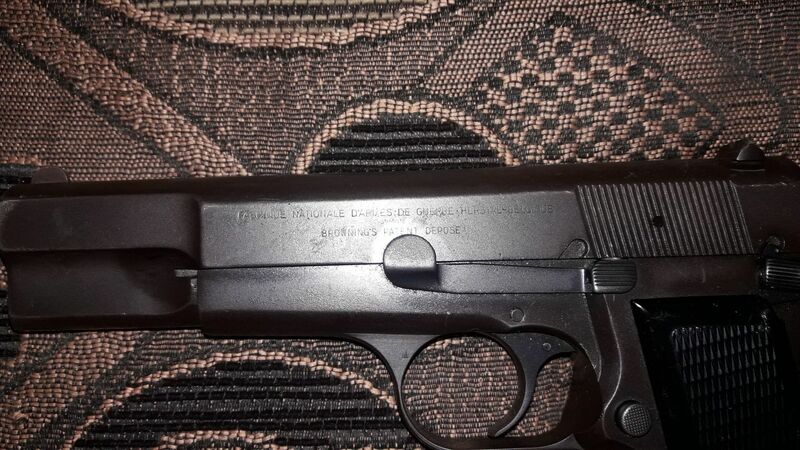 A Browning Hi-Power in the hands of TİKKO. 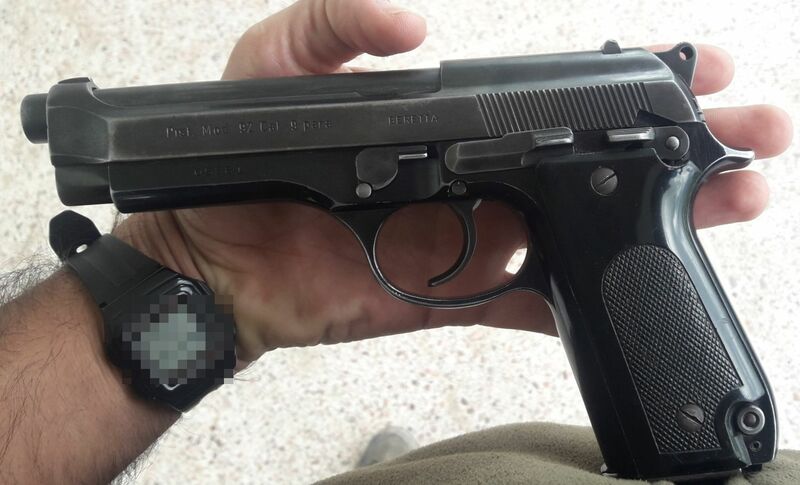 This is also very common in Syria, and is a very well regarded sidearm. Given that TFSA forces have control of the area for now, any attacks against them are typically covert and fast, with many taking place at night. This is why the thermal optic is ideal for the TİKKO guerrillas. 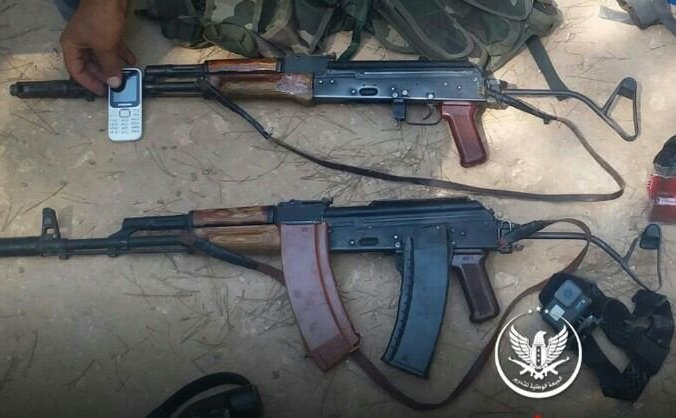 And although ammunition for 5.45mm and 5.56mm firearms may be more expensive than the common 7.62x39mm, it's certainly possible that the TİKKO forces are utilising caches pre-dating the takeover of Afrin also. All of the ammunition and the guns seen above are widely available on the Syrian black markets too. 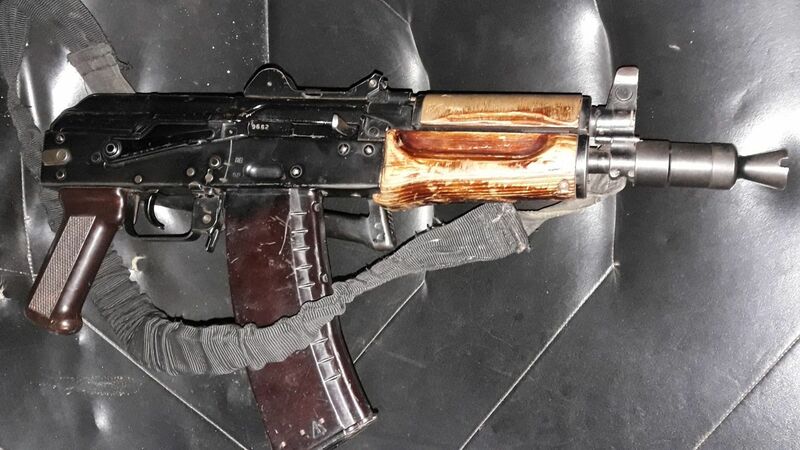 It is hard to determine weapon sourcing from these images, yet the level of standardised weapon modification is perhaps unusal and unexpected, in an area where the AKM or Type 56 is by far the most popular rifle, usually completely modified. 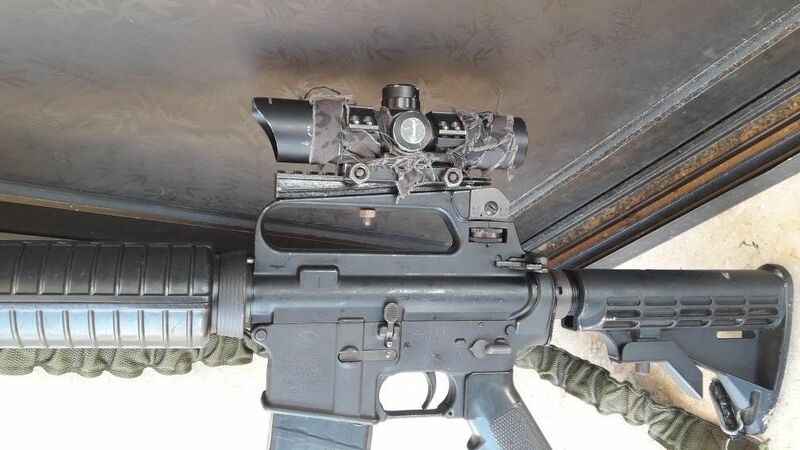 It is also notable to see the continuing use of thermal optics by non-state forces, a trend that currently shows no signs of ending. Author's Note: This post is an expansion & update of one previously released on popularfront.co, with changes and expansion for a different audience.